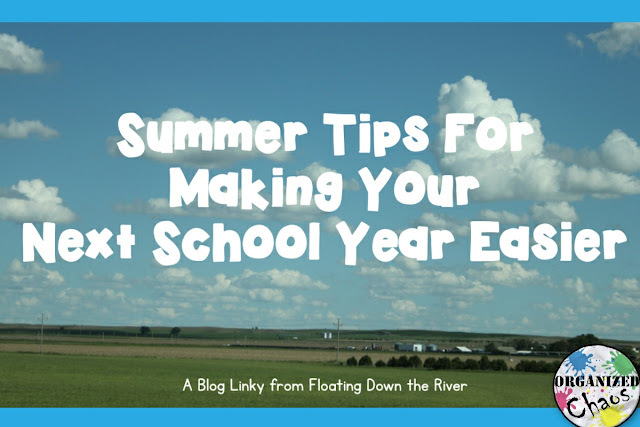 Today I'm linking up with Linda at Floating Down the River to share the things I will be doing this summer to prepare for next school year (and hopefully make my life easier when school starts back up!). Click on the picture below to see all of the other helpful tips linked up by other bloggers- it's a great way to get inspired and kick off a great summer break! I always take time at the beginning of the summer to reflect on the past year. The school year goes by so quickly, it's hard to ever stop and think about what is happening during the year! I find it so helpful to look back and think about all of the things that went really well this year, all of the great memories, as well as things that didn't go well that I want to work on for next year. I wrote a whole post about the specific questions I reflect on over the summer- you can read those here. I try to find some ways to refresh the look and feel of my classroom each year, since I know most of the students will be returning and I don't want them to feel like it's the "same old thing" each year. Sometimes I decide to completely reconfigure my setup, sometimes I just hang a few new posters, but I always try to find ways to freshen the look of the room so that it seems new and awesome when the kids walk in the first day of school. This is actually what I consider the most important summer task for work. Each year I sit down and write out the main objectives (and any resources to accompany them that I know I want to use) for each grade level by month, mapping out the entire school year. I have never liked the idea of planning as you go- I feel like I would miss an important skill or concept, or that I wouldn't teach things in the most effective sequence, if I didn't take time to map out how I will be teaching things over the course of the entire year. 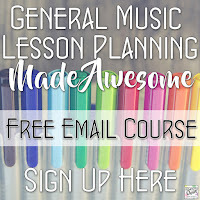 You can see the pages I use to write down my monthly plans in my planner here, and you can see the templates I use to create my long-range scope and sequence for all the grades, based on the new National Core Arts Standards, here. I also wrote about how I go from the more general national standards to the specific, day-to-day lessons in this post. I hope you find these ideas helpful! 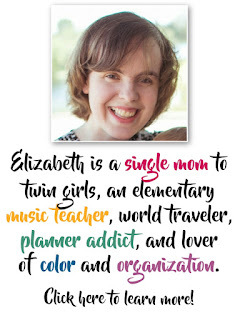 I have all of the resources I use- monthly calendars, prompts for reflection, even vacation planning- in my summer organizer, if you need a little help getting started :) Make sure you click the link at the top of the post to check out all of the summer tips from other bloggers! I need to think about doing projects such as your rhythm monsters. The kids love new things and it would add something fun. Projects like that help me to get excited about the new year!